The Athlon Simplicity LX treadmill is the pricier of the two Athlon treadmills that are currently in the market. And just like the other one, this one also comes with great design but low quality. If you want a pretty looking machine with easy to use features, then this is the unit for you. However, just like the Athlon Simplicity, you shouldn’t expect much from it in terms of performance. Its specs, features and quality aren’t really that impressive. So please visit our best treadmills page if you don’t think this is the machine for you. The Athlon Simplicity LX is similar to the Athlon Simplicity but with an EKG pulse grip that allows you to workout in your target heart rate zone for a more efficient run, more preset workouts(6) to give you more variety, and a folding feature so it can save space when not in use. A concern I have with this machine is its small motor (1.75HP continuous duty) and big running surface (18" x 54") combination. Big tread belts need powerful motors and since this model has a small motor, it would need to work doubly hard to move the large belt. This in return, would lead to lots problems in the future. This unit’s biggest weakness is its quality. Add to this the fact that it comes with a small motor/ big belt combination, it would only be a matter of time before you’ll need to replace this machine with a new one. Also, be careful when buying Athlon products. Athlon fitness (the manufacturer of Athlon machines) is showing signs that they are losing money so I don’t think the company will still be around for long.. I don’t recommend the Athlon Simplicity LX treadmill. If you really want a mid-priced treadmill, I suggest you visit our Smooth 7.1HR treadmill review. 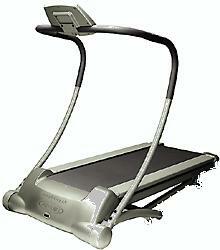 It is considered by many as the best treadmill below $1,500. If even after this review you still plan on buying an Athlon Simplicity LX treadmill, I suggest you buy it at AthlonFitness. You can get it for just $1,299.